While any reason to buy a pair of custom western boots is a good reason, we lay out the top 5 reasons below. Yep that is right. Custom Bootmakers are getting older and are not getting replaced fast enough to keep up with demand. Some might say they are a dying breed. One day we may not have any good Bootmakers left. Go on you deserve it! 🙂 Nothing says success like custom western boots. They will last a lifetime if you care for them properly. Also great to mark a life milestone like birth of a child or or retirement or graduating college. I could go on and on. Maybe you can’t find that skin you are looking for in color you want or vamp/top combination. Why spend a bunch of money on a boot you just kinda like. Pick your skin in the color you want and put it together with the right top/heel/toe combination. 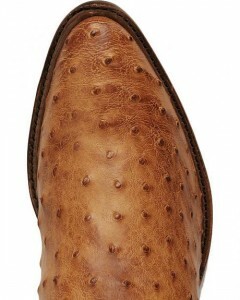 Handcrafted tops can become Folk Art in the hands of an experienced Bootmaker. Leather tooling, fancy stitching, inlays, all can come together in a one of a kind boot made just for you. If you have a little money burning a hole in your pocket then this is where you can spend it. Like I said any reason to buy a custom boot is a good one, but if you need a solid fit then this is the reason to buy! Each foot is a little different and having a custom fit boot can make a real difference in long term comfort. Check our Texas Bootmaker Directory to find your next Bootmaker.